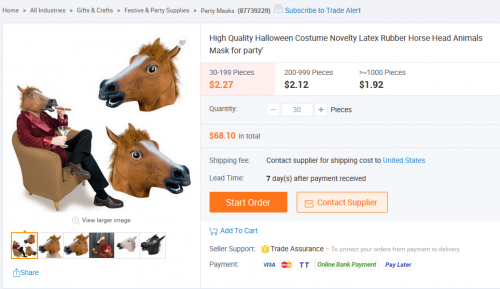 Alibaba is the Wild West of product sourcing - a freewheeling, international bazaar offering low-cost bulk parts and products that range from the mundane to the, well, bizarre. Here, the risks are high but the potential benefits manifold. 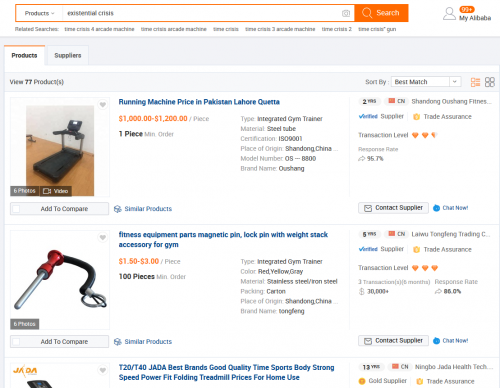 You may seek your fortune reselling low-cost goods (or finding low-cost parts for your widget), but you may find yourself flim-flammed, hoodwinked and yes, even bamboozled. But oh, the rush when your diligence pays off! 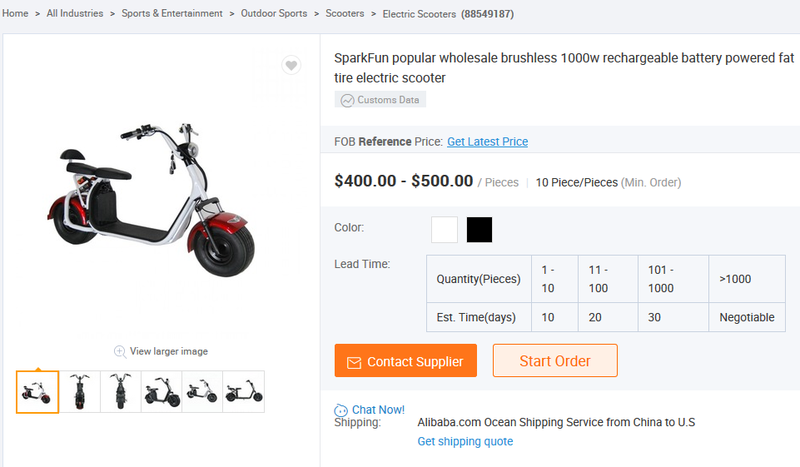 I will begin with an important disclaimer: at this stage in my procurement career (and in SparkFun’s history), sourcing from Alibaba is basically the last resort. SparkFun has worked hard over the years to develop a list of trusted vendors. Many of these companies have locally-based representatives, knowledgeable sales contacts and field application engineers we can meet with face-to-face to discuss all our latest needs and quirks. 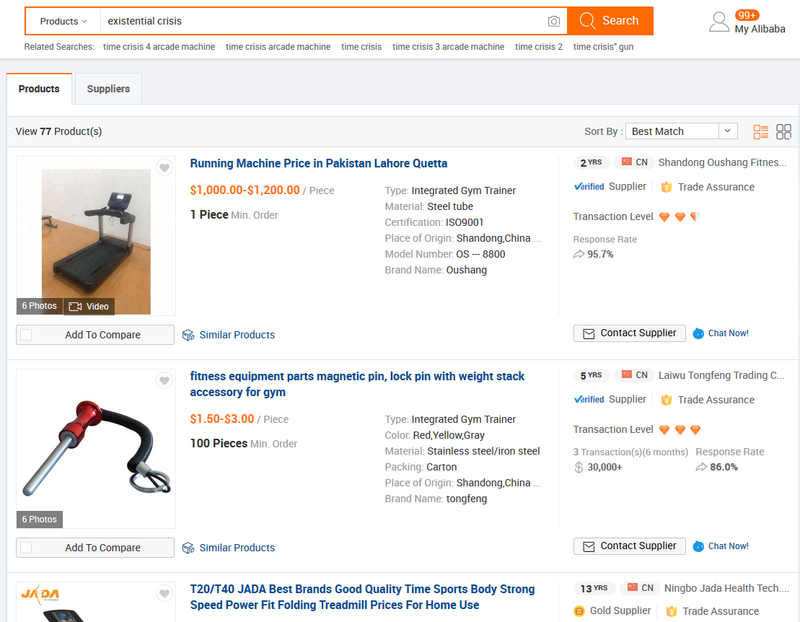 Others are vendors in China, Taiwan and other countries whom we discovered via Alibaba eons ago, and have since built long-standing relationships with. If you already have a supplier with whom you have an established, trusting relationship, love and cherish them all the days of your life. Understand also that their capabilities may extend far beyond what’s reflected in their catalog or line card. If there’s something specific you need, ask your existing contacts. At the very least, they may be able to provide you with a referral. I also highly recommend ThomasNet as an alternative starting point for finding reliable, quality sources for components, hardware, equipment, you-name-it. That said, onto the fun. If you’re starting from scratch as we once did, or you simply like to walk on the wild side, you may be ready to plunge into the wacky world of Alibaba. Let’s begin with the search bar. Don't look at my search history. This part is pretty straightforward. 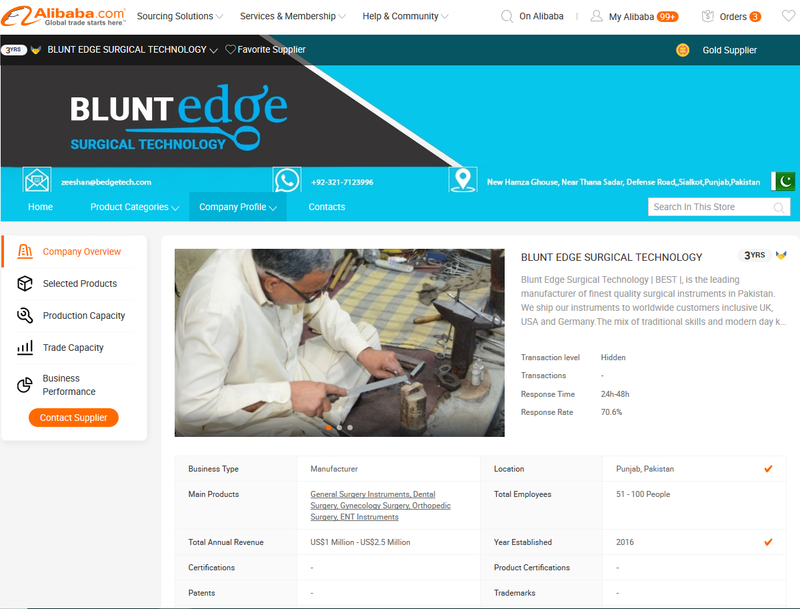 Here, you can search for parts by keyword or toggle the little arrow to search for particular suppliers. As with any search, you’ll want to find that sweet spot between specificity and generality. It’s also important to know what that thing you’re looking for is called! That seems obvious enough, but keep in mind that there are different synonyms out there for the same type of product (e.g. “coin cell” vs. “button cell”), and businesses in other countries might have different naming conventions than you’re used to. Once you’ve honed in on a thing you might want to buy in quantity, you’ll see on the product page a handy little pricing scale, info about shipping charges and lead time. How many horse masks will you require today? Great, right? Well, ignore it. IGNORE IT ALL. It could be accurate, sure, or it could be that the supplier just put random information in there because honestly-who-really-knows. If you want to know how much the thing costs, ask. But first, try to learn a little about the supplier by clicking on the supplier name at right and perusing their company page. Alibaba is far less Mos Eisley Cantina-ish than it once was. They have a variety of verifications and certifications to help you sort out the legit from the sketchy, although there’s always some risk regardless. I like to see a high customer satisfaction rate, “Gold Supplier” status (multiple years is always a plus) and a decent rate of response. Hello, this is [name] with [company name]. Please quote me for [quantity] pcs of your [product name or part number]. That’s it! This is not to imply that Alibaba suppliers won’t send you samples, customize their product, give you quotes for multiple pricing tiers and multiple products, discuss terms, etc. This simple first email just gets the conversation going, and you can feel free to move on to all those subjects and more once the wheel has begun turning. Alibaba has a messenger feature, but I always include my email in the signature of the first message to emphasize that I’m okay with them emailing me directly. Personally, I prefer to communicate this way, but to each their own. If you do include your email, you will eventually get spammed, so be ready. You can also make a “business card” on Alibaba, which includes your contact information, and you can choose whether to share it or not with each message you send. Yes, there is such a thing as too much squid. You may find you’re not satisfied with a quote or minimum order quantity (MOQ). 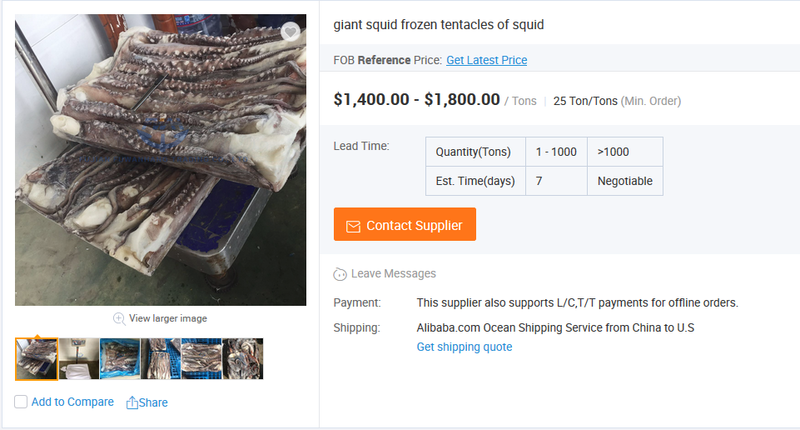 $1,400 per ton of giant squid tentacles may be more than you are willing to pay, or perhaps you only require 10 tons of them instead of 25. Again, ask away. Alibaba reps often have room to haggle. If you have other quotes or retail pricing to show them for comparison, go for it. Just don’t be a jerk about it. Consider what you might be able to offer them to make it worth their while. If an MOQ is higher than you’re willing to commit to, it doesn’t hurt to see if the supplier has some flexibility there, too. Maybe they can lower it if you commit to purchasing multiple different products (giant squid eyeballs?). You might also consider committing to multiple smaller orders spaced out over the course of a year, assuming you’re confident in your volume projections. If you have a slew of questions, I recommend putting them in a numbered list to avoid important details getting lost in a big block of text. I always request at least one sample before agreeing to purchase an item in quantity. Usually, suppliers with whom you do not have an existing relationship will expect you to pay for the sample, and that’s quite understandable. Sometimes they’ll just request that you cover the shipping. I usually ask them to send an invoice with a PayPal ID/email, but you can also pay directly via Alibaba. It’s important when requesting a sample (as with a full order quantity) to confirm what it is you’ll be receiving before committing to it. 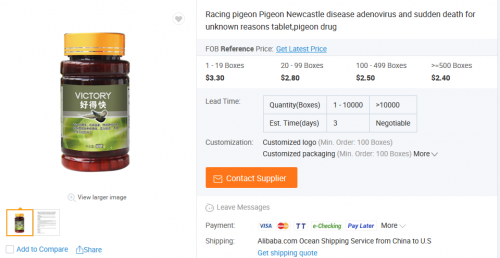 Some product pages display multiple products, or have multiple versions of a single product available with varying specs. Requesting a datasheet, manual, or any other supporting documentation is crucial. This may require some vetting. Once you’ve received, evaluated and approved a sample, you may be ready to commit to a full order. I won’t dive too far down the rabbit hole of payment terms, but most Alibaba suppliers will expect money up front, often via bank wire transfer (“T/T”) or PayPal, at least for your first order. Be wary of Western Union, as it offers relatively little protection against scams. Alibaba also offers its own Alibaba Secure Payment platform. I haven’t personally used it for more than small dollar (usually sample) transactions, but it does offer a path for disputing transactions. You will also want to work out your shipping method and terms with the supplier. That is yet another topic that could be a post unto itself. No, we don't make scooters. A final word of caution: be wary of copyright, trademark and patent infringement. Even companies that are generally open source still aren’t exactly thrilled with companies impersonating their brand. It’s one thing to build off an existing design, but it’s another thing entirely to copy it and slap another’s logo on there. 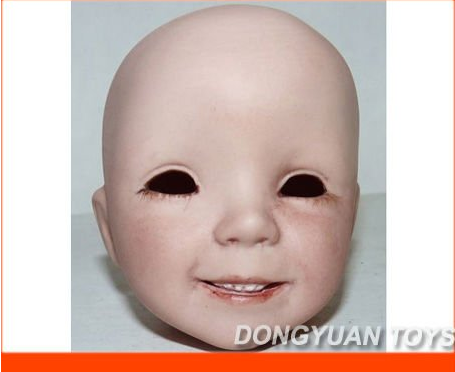 Knockoffs tend to hide quality and reliability problems behind the mask of others’ hard work and diligence. And they leave the real companies’ support personnel scrambling to field questions about products that end up having nothing to do with them. So once again, don’t be a jerk. Moreover, should you choose to be a jerk nonetheless (or inadvertently stumble into jerkhood), customs often stops shipments of knocked off products, and you as a reseller are potentially liable for the things you choose to put on the market. Some violations are harder to spot than others. Did you know you can trademark a vague color combination? Well, neither did we! Which leads me to another thing: educate yourself on product compliance issues (RoHS, CE, FCC, Prop 65, etc. ), export restrictions, etc., or consult with someone who can get you on track in that vein. There’s a whole prairie full of rabbit holes there. Be careful out there, folks. Take my timeless wisdom into consideration, trust your instincts and you will (probably?) do just fine. If you have any questions, please feel free to leave a comment and I will emerge from my meditation cave to reply as soon as the Alibaba oracle bestows her answers upon me. Happy hunting! Thanks! I especially appreciate mention of "ThomasNet" -- it reminded me of hours spent at the public library decades ago (before when most had access to the Internet) pouring through the Thomas Register, though IIRC, the primary reason for that research was part of research into companies who's stock I was thiniking of buying. One thought: If you're worried about getting a lot of spam e-mails, you might think about setting up a "throw-away" e-mail, and once it starts getting too flooded, change (or delete) it. Also want to say that the "top four" on my "trusted suppliers" include SparkFun, Adafruit, Digi-key, and Mouser. Lots of other good companies, but those four supply most of my needs! Sure, but Yahoo comes with confused expressions (free of charge) whenever I give that email to people as my contact info. Thanks for your feedback--glad to know we're in you're top four! I really like the throw-away email idea. My old yahoo account has (inadvertently) become just that!